Rent villas in Les Fonts, Spain with private pools. Book affordable holiday rentals that are near a golf course. Casa Font is a modern, well-proportioned villa with stunning open views of the sea in the distance. Beautifully presented for the perfect holiday. 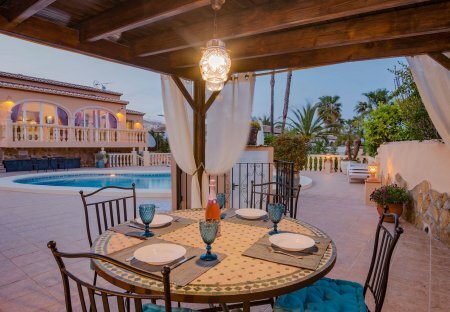 Spacious and with stunning panoramic valley views, Villa Zavanna is located close to Moraira and Javea on the Costa Blanca.